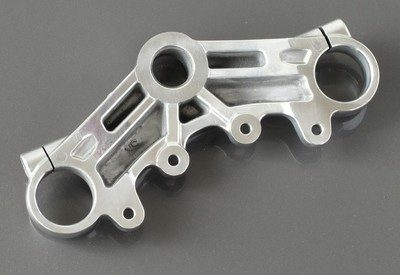 Die cast polished alloy top yoke to fit the SR500, SR400, & 1977+ XS650. Die cast polished alloy top yoke to fit the SR500, SR400. & 1977+ XS650 with 35mm fork tubes. 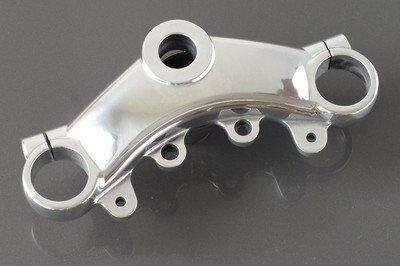 This beautiful premium quality alloy top yoke gives a proper classic look to your cafe racer when using clip-on handle bars. Includes mounting points for the ignition switch and gauges. Unlike others on the market which are sand cast, ours is die cast. This produces a stronger, much finer quality, highly defined casting, with less porosity and without the pock marks common to sand castings.